Congratulations on completing the training workshop. 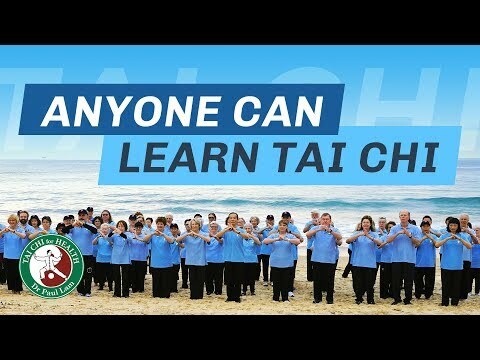 I would like to offer you my very best wishes for your success at sharing Tai Chi for Health with others, I am sure it would the most fulfilling experience. Good ways to improve your tai chi. Continue to practice tai chi regularly. You will enjoy tai chi more and set an inspiring example for your students. Read my book “Teaching Tai Chi Effectively” – it provides simple and proven methods to make your teaching more enjoyable. Use the instructional DVD “Tai Chi for Arthritis,” and the book “Overcoming Arthritis” to help prepare your class. Do encourage your students to purchase them, contact us for more information. Please ask your participants and friends to subscribe to my monthly newsletter because it contains useful information about Tai Chi and new products and workshops. I look forward to meeting and working with you in the future, feel free to email me through service@tchi.org.